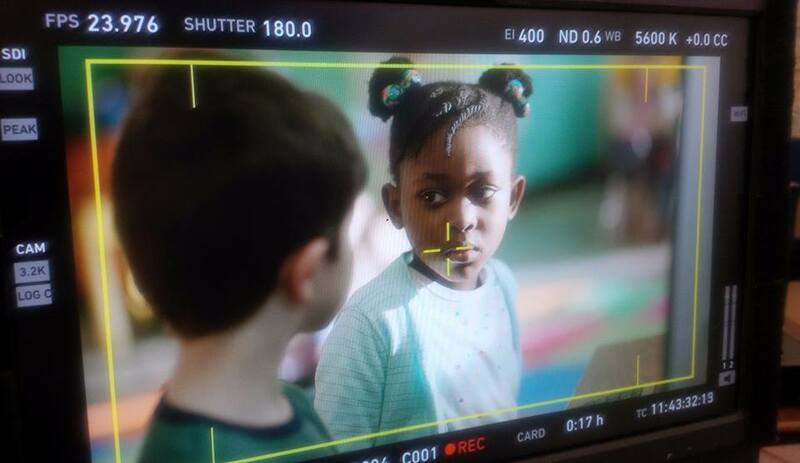 At just eight years old, Nakai Takawira already has a busy schedule on the acting circuit: two feature films and a commercial just last year. What’s next for the young actor? Well, that’s a secret, but you’ll be sure to see her face on the screen—big and small—in the future. 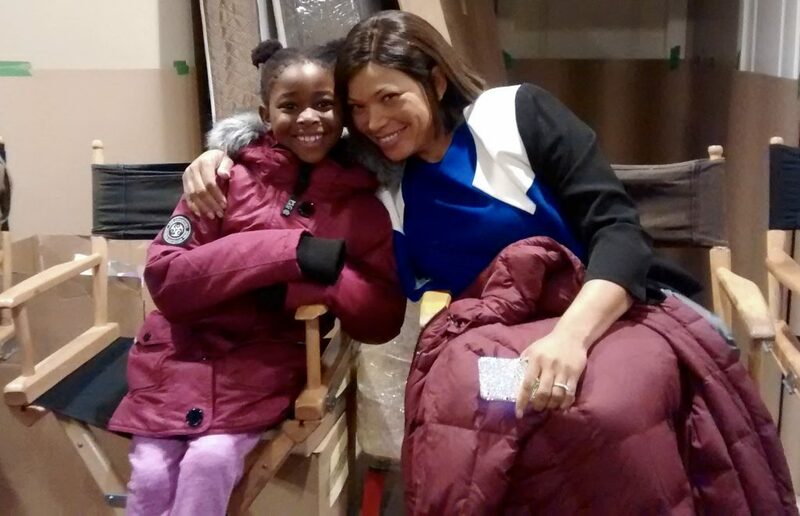 Nakai and her mother Amanda found time to visit Arts Umbrella and tell us about all the skills she’s learning both on and off the set, what it’s like to be in a movie, and to share a few jokes. The first time Amanda came to Arts Umbrella was four years ago; they had just arrived from Germany. It was a turbulent time in Amanda’s life and her priority was to find something for Nakai to do: “For me, the biggest thing was I wanted her to have a creative outlet,” says Amanda. 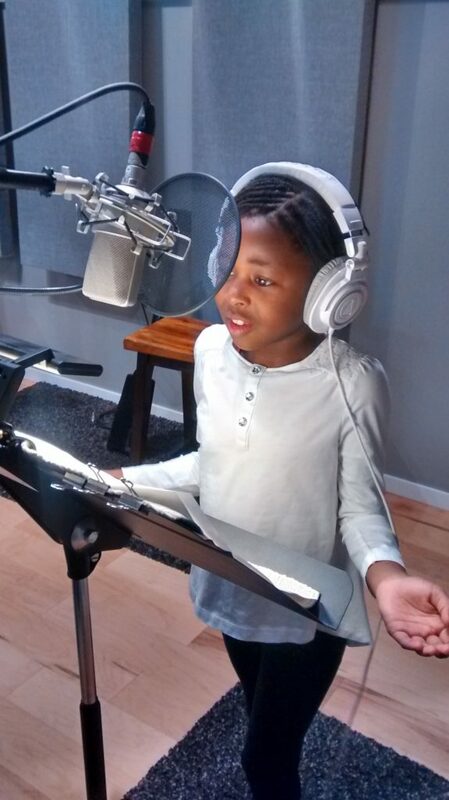 We got her signed up right away, and for two years, Nakai took camps and classes in dance, theatre, and visual arts. In one class, Kevin Hatch, Major Gifts Officer and Theatre Instructor, says he worked with Nakai and her peers to write a play about a karate girl. It was one of Nakai’s first roles, one that allowed her to express herself, just as Amanda had hoped. One day, Amanda was sitting outside on Granville Island when she was approached by director Allison Anders, who was looking for black extras for the remake of Beaches. As luck would have it, the casting director was also looking for a child for the film as well. Amanda’s call time was earlier than Nakai’s so she had been on set for a few hours before her daughter arrived. When Nakai got there, Amanda was asked to accompany her to her trailer. “A trailer! [The extras] were in a tent,” laughs Amanda. Nakai was the photo double of another young actor on the set, and had many wardrobe changes in the three days they spent on set. The experience was thrilling for the mother and daughter—and a taste of their future. News quickly spread among the family that Nakai and Amanda were on the set of Beaches. When Nakai’s Aunt Laurel found out, she immediately called. Concerned that they had jumped into something without an agent, Laurel gave Amanda the name and number of one she knew. At the meeting, the agent gave Nakai a commercial script with four lines and asked the young actor to memorize it. Just 10 minutes later, Nakai had rearranged the furniture as a set, identified her entry point, mark, and exit, and memorized her script. Nakai amazed the agent, and that was it. Amanda credits Nakai’s comfort and skills in this setting to her classes at Arts Umbrella with Kevin. Nakai has appeared in multiple commercials and feature films since she started acting, including The Simone Biles Story and Harry and Meghan: A Royal Romance. She had leading roles in the P&G 2018 Winter Olympics commercial and a Reddi-wip commercial. 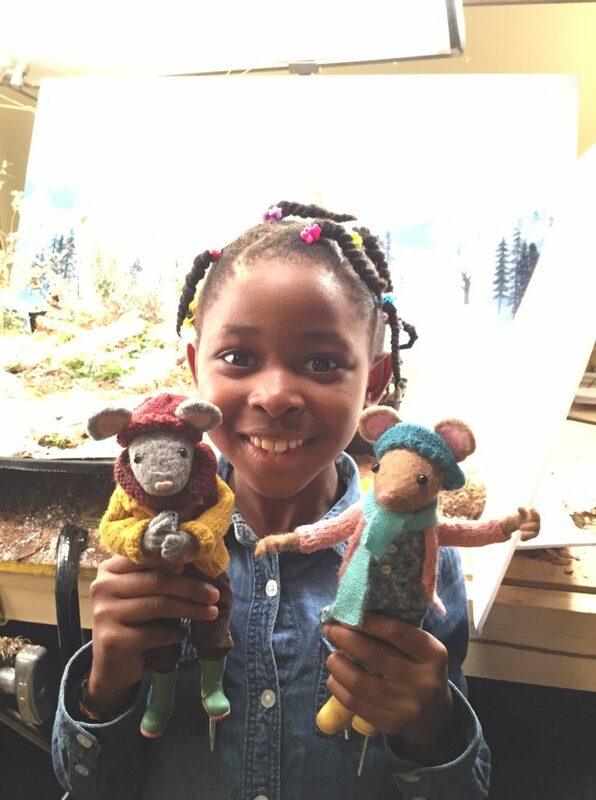 She’s also played a Gumboot Kid in CBC’s Scout & The Gumboot Kids and Young Kuasa in Legends of Tomorrow. As we talk about the auditions and set experiences for some these projects, Amanda and Nakai playfully bounce memories, contradict, and correct one another. Nakai has learned to be tough on her shoots. They shot the Olympics commercial on Hemlock Mountain and Nakai was dressed in socks and a thin snowsuit. But no complaints from Nakai; the client even expressed how proud they were of her. She just covered herself up in blankets in between takes and kept warm by jumping around. Plus they got to ride a snowmobile and ride a ski lift for the first time ever. “I wish I could do the snowmobile like down up, down up, down up, down up,” says Nakai excitedly. To better her on-camera acting skills, Nakai has been taking improv and emotional connection classes at the Leblanc School of Acting. “Emotional connection is one of the hardest classes she’s ever had to take,” says Amanda. “It’s training them to be able to draw those triggers in the moment.” If a director needs tears, an actor can turn around, take a moment, and turn back in tears. “Nakai’s first emotional connection class was so intense she was crying for two days. Because she was so sensitive, she’d pick up on other kids’ triggers and then she would cry because they were crying.” Nakai explains: “When someone cries, I don’t like to see them cry. I don’t feel happy anymore.” She’s come a long way since that first class, using her “golden box” to manage her emotions. 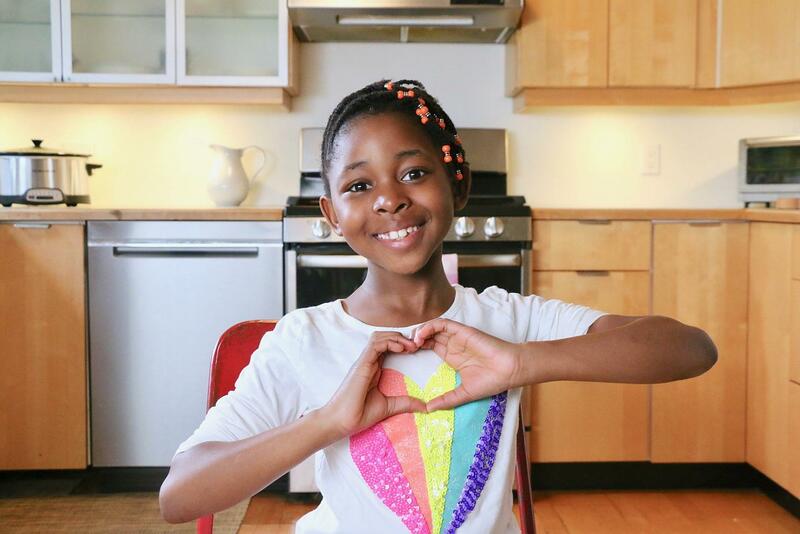 Between work, acting classes, and school (she’s fluent in English, French, and German, and learning Spanish and American Sign Language), Nakai always remembers to have fun. She enjoys watching television, and loves to experiment with painting and cooking. 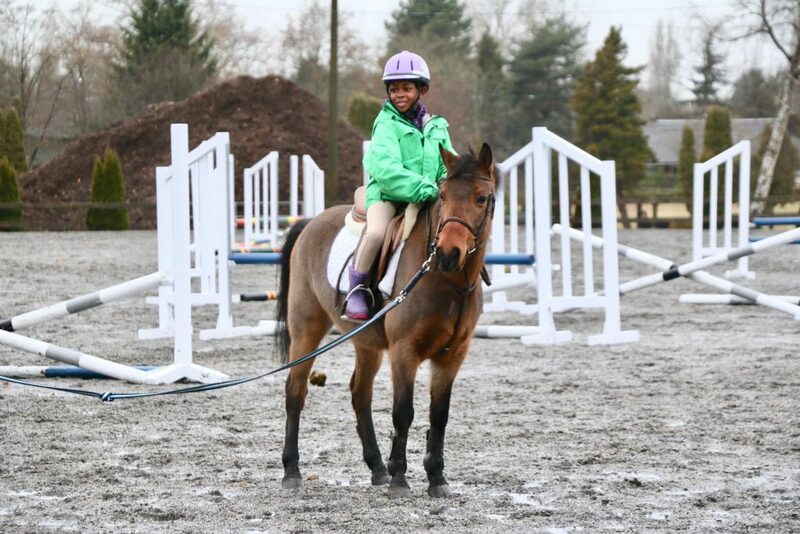 She’s done summer camps at Arts Umbrella and at Loft Country in Langley—where she learned to ride a horse and to line dance. She’s also taken karate lessons. Thanks to her mother, Nakai has also travelled around the world, to places like Montreal, Zimbabwe, Germany, France, Belgium, Holland, South Africa, Luxembourg, and the United States. Here in Vancouver, Nakai just celebrated her eighth birthday. “We went to Smarty Pantz,” she says. “We were all dressed up in black like spies.” She and her friends had to solve a puzzle using clues in the room. “We needed to find the key to open the drawer. When we opened it, we saw amazing stuff,” she whispers dramatically. Nakai is a big fan of spies right now: “I’ve always wondered if spy gear or anything about spies exists. Because I might buy one. I love spying. You can’t get classes to spy because people that are spies don’t tell you.” This wit and imagination is what makes Nakai sparkle. Perhaps it’s because Nakai has so much support around her—Amanda says it’s taken a village to get Nakai to where she is today—but even at eight, Nakai is intent on paying it forward. Grateful to the family, friends, and instructors that have helped Nakai, Amanda is all smiles when she talks about Nakai’s on-set behaviour. Nakai makes a face at being told to stay grounded. Amanda explains. “I thought you meant grounded as in punished,” retorts Nakai with a grin. A little joke to end the day. And high fives all around.